Different ICUs have different visiting policies, which have been developed to suit the local environment and you need to familiarise yourself with these. Please do not use mobile phones inside the ICU, these may be used in the designated areas signposted around the hospital. It may be useful to have some change for a payphone. Please ask the ICU staff about toilets, telephones and refreshment facilities. The nearest cafeteria to the ICU is located in the main foyer of the hospital by the main Outpatients Entrance and has restricted opening times. There is also a WH Smith outlet and an ATM (cash machine) located here. If you are spending long periods of time at the hospital you may want to have some refreshments with you. Perhaps a friend can bring something in for you, such as sandwiches or a flask of soup. It is important to keep up your strength. In the past, many hospitals felt that an ICU was an unsuitable place for children to visit. We now think that it might be more upsetting for a child not to be allowed in. It is best to talk to the ICU staff to decide what is best for children in your care. Naturally, relatives and friends will want to know your relative’s progress. It is helpful if only one person telephones the ICU for a daily update and then informs others concerned. This may not be possible in every situation but it does assist staff by saving them time which could otherwise be devoted to patient care. However detailed medical information is not normally given over the telephone. Flowers and plants are not allowed in our ICU as they can be a hazard to patients and equipment and are an infection risk. 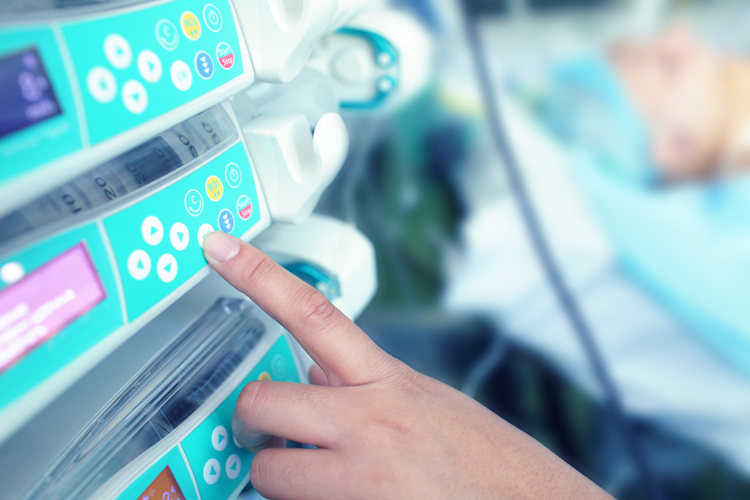 Does a patient need any personal items in ICU? Although space for personal items is very limited, you may be asked to bring in some basic toiletries for your relative. A nurse will tell you what is required but items may include toothpaste and toothbrush, shaving kit, liquid soap and hairbrush/comb. You may wish to include some aftershave or scent to dab on their skin. Items such as iPods or photos of their loved ones may be a comfort to them. Awake patients may require personal items such as reading glasses, dentures or hearing aids. Fear of the unknown can cause worry. Do not be afraid to ask the staff questions if something is bothering you. They may be busy but they will always find time to talk to you. It can be helpful to have someone to talk to about what you are going through. Friends and family can be a valuable source of support at this time. The hospital Chaplain can visit you if you wish or you may prefer to talk to a representative of another faith. The hospital Chaplain can provide support to people of any faith or no faith.